The cyanotype process was used most famously by Anna Atkins’s in her 12 part book British Algae: Cyanotype Impressions. This was the first book ever to be illustrated with photographs making her a real pioneer of the new art form. 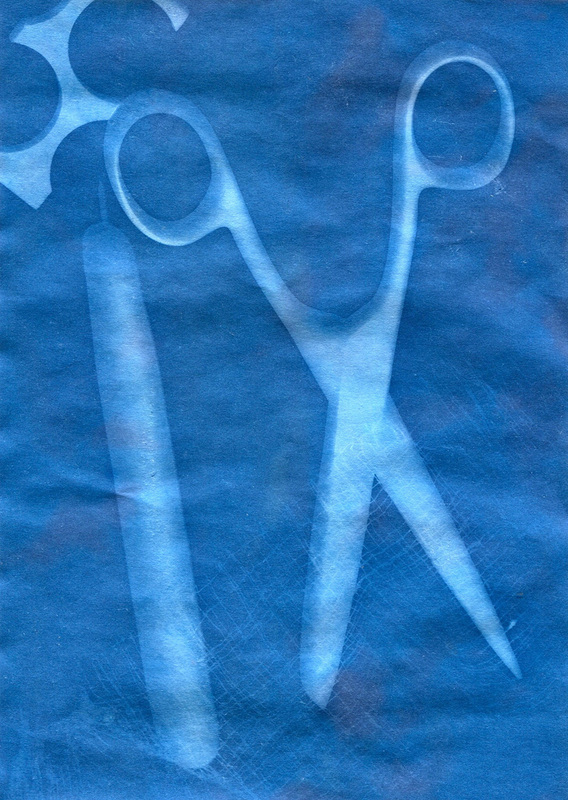 Cyanotypes were amongst the first ever kinds of photographs that did not require a camera. In essence, they describe perfectly the meaning of the word ‘photography’ - photo = light; graph = to draw. Therefore, photography = drawing with light. Atkins was an expert botanist and illustrator of plants. She discovered the cyanotype process after meeting the British inventor Fox Talbot. Atkins neighbour was the astronomer Sir John Herschel and it was he who discovered, in 1842, that when exposed to UV light (i.e. sun) a paper soaked a with a complex iron salt solution captured a blue “negative” image, once the salts had been rinsed away. For obvious reasons, Herschel named these prints Cyanotypes or blueprints. As well as the blue background which suggested the water from which her plants had originated, Atkins must have been pleased with the way the cyanotype process captured the tiniest and most subtle of details of the plants she was studying. 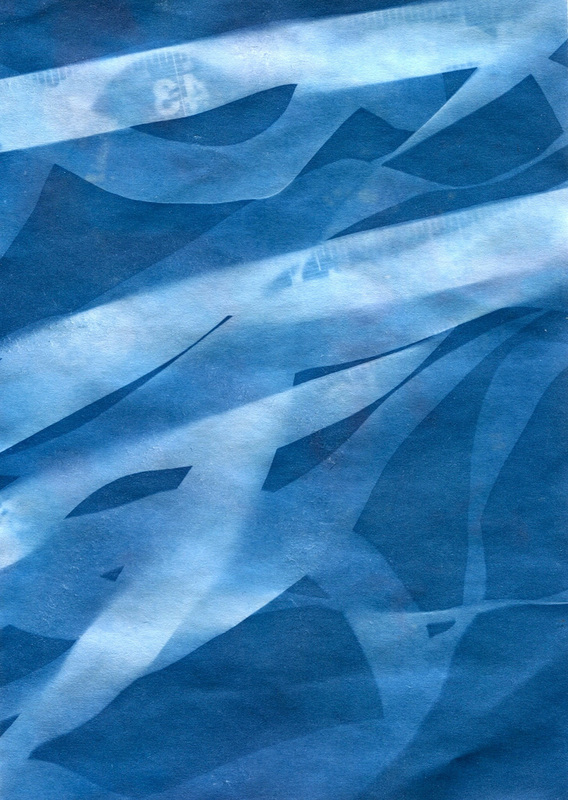 ​What are the advantages of cyanotypes? The cyanotype process is relatively cheap and easy to use. A wide range of surfaces can be coated with the mixture of chemicals and you don't need a darkroom or any complicated equipment. Perhaps this is why artists are still using the process, sometimes to make quite large and unusual photographs. For example, here is a mattress which has been soaked with chemicals and then used to capture the outline of a sleeping person. A set of tiles has also been used to create a puzzle like composition of plant forms. Finally, the curling forms of magnetic tape spilling from cassettes echoes the plant forms captured by Anna Atkins all those years ago at the dawn of photography. I have collected some more images on this Pinterest board. I began by using quite heavy objects. These created clear (negative) shapes making quite a strong composition. You can see the shadow cast by the scissors where the light has crept under the blades. However, there is not enough detail or texture in the image to make it particularly successful. In my second attempt I wanted to use a lighter material so I chose a tape measure. You can see some of the measurement marks on the tape at the top of the image. Where the tape was not in direct contact with the paper the image is more faint. I really like the effect created when bits of tape overlap, shielding more light from the paper and therefore creating a whiter shape. The pate looks quite organic, like strands of seaweed or leaves and this reminds me of Anna Atkins' images. I am really pleased with this image. Next time, I would like to experiment with mixing my own chemicals and applying them to an unusual surface, possibly working at a larger scale.